Dubai: Investors can always get something out of the Palm — in fact those who held a property there for 10 years could see price growth of a princely 238 per cent. And a high-end apartment in Dubai Marina would see them better off by 61 per cent over a decade, according to number crunching done by the consultancy Core Savills. At Emirates Hills, the gains from a high-end villa would be in the region of 45 per cent (since the first quarter of 2012). But someone with a unit at the Burj Khalifa would have seen a drop by 12 per cent since the second quarter of 2010. Unit prices had been at their veritable peak in 2007-08 as the skyscraper moved into the final stretch of construction and before the financial crisis hit. In fact, during the last two years, Dubai’s property markets recorded two downturns, one full-fledged recovery and, currently, in the middle of a cooling-off period. But for wealthy investors chasing properties with the highest returns, Monaco is still the best bet, according to the Core report. An ultra-high end property would have gained 180 per cent to Dh400,710 a square metre. A property somewhere less prime would be Dh165,729 a square metre. In Dubai, for comparison’s sake, an ultra-prime would be Dh44,435 a square metre, while prime would be Dh24,419. In terms of global standings, this would place Dubai in 10th spot, while Hong Kong and Tokyo are placed second and third after Monaco. Dubai’s prime market now is seven times more affordable compared with what a Monaco asset would command. Investors are using the current market conditions to pick up high-profile assets in prime locations … at a relative discount, if these are available. Dubai Marina had the “highest spike in year-on-year off-plan transaction volumes at 165 per cent, underpinned by many project launches such as Vida Residences Dubai Marina, One JBR, Bluewaters and Studio One over the last few months,” Core reports. But it has been slightly harder going at the Palm. 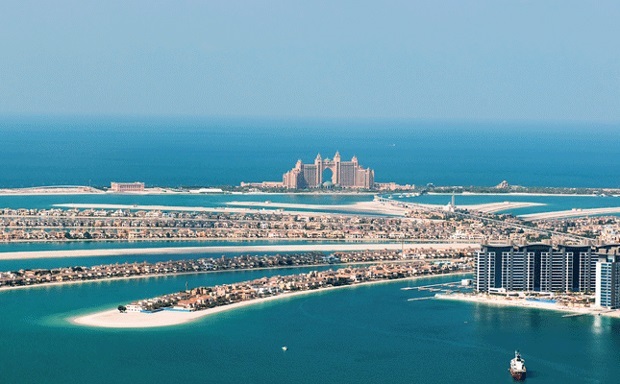 Recent handovers of The Viceroy and Muraba Residences have raised transaction activity on the Palm. “However, the overall area performance is relatively weaker when compared to Dubai Marina, with the Palm displaying the highest lag in sales performance with a year-on-year drop of 7 per cent.